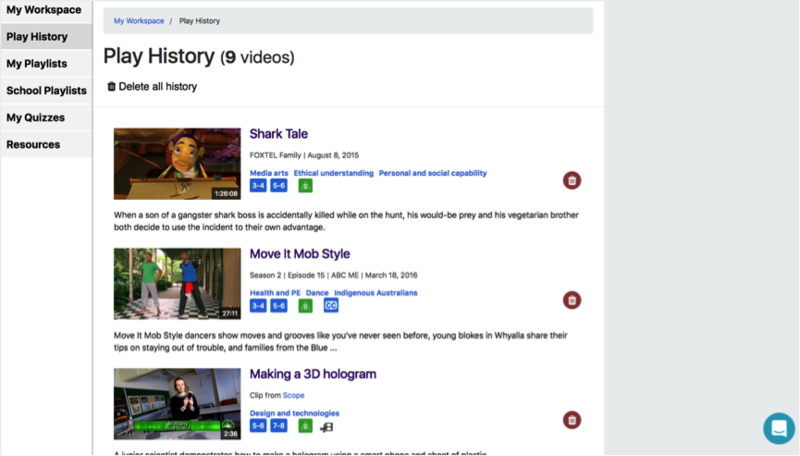 Play History will give you an overview of your current play history, it will give you a detailed view of the videos you played and the information regarding the content. The history is unique to your account only and will provide a quick link to watched clips. To delete your Play History, you can either click on Delete all history which is displayed above the first video or you can click on the trashcan icon on the right hand side of each video if you want to remove a single video from your list.